I will present you in this tutorial, how to easily buy some Bitcoin with CoinBase, using Credit Card / Debit Card or Bank transfer. CoinBase is one of the largest Exchanges in the world to buy Bitcoin, but also Ethereum and Litecoin. It's one of the best platforms to buy Bitcoin, and it's very easy to use. You can pay with Dollars or Euros with your Credit Card / Debit Card or by Bank transfer. You will get 10$ worth of Bitcoin Bonus after making at least 100$ of order in CoinBase. On the first page, you will have to put your First Name / Last Name / E-mail address and choose a password (You will have to use your real Name). Do the Captcha and check the box to certify that you are old enough. Now you just need to click on "Sign Up". 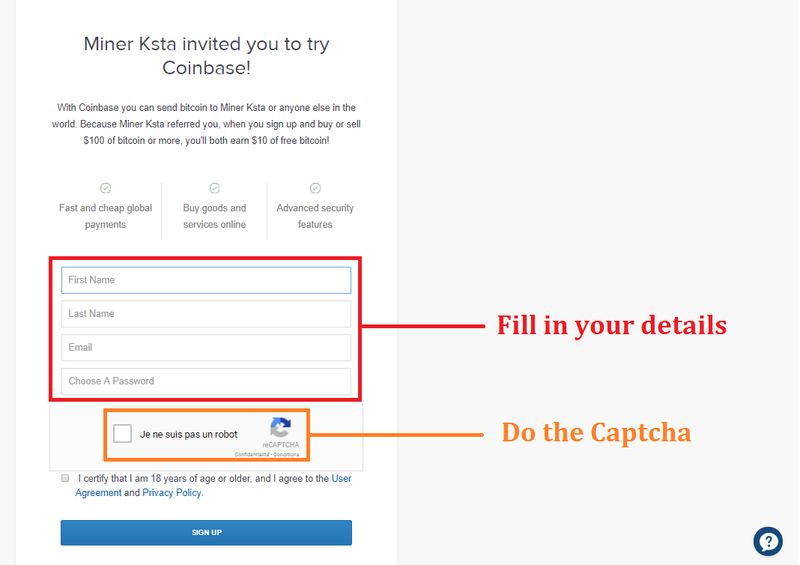 You will receive an E-mail from CoinBase with a confirmation link. 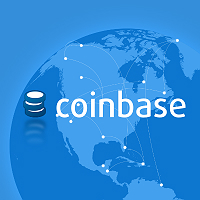 Click on the link to confirm your CoinBase account. Now you will have to fill out all this information and click on "Next" once your are done. CoinBase might ask you different information, or picture of Identity Card / Passport / Driver License depending on the Country you are. Coinbase will ask you how you would like to pay, either with a Credit Card/Debit Card, or via Bank Transfer directly from your Bank account. You are now ready to buy Bitcoin ! You first have to click on "Buy/Sell" on the top left of the page. Then you can choose the currency you want to buy, between Bitcoin, Ethereum and Litecoin and choose the payment method you want to use. 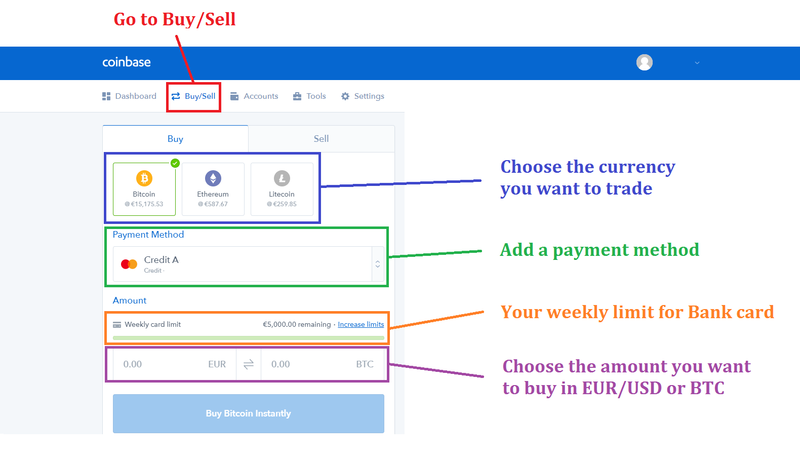 Enter the amount you want to buy, in Euro/Dollars or in Bitcoin and click on "Buy Bitcoin instantly" to get your first amount of Bitcoin. You can also see the weekly limit you have for your Credit Card / Debit Card. This amount will grow more and more after your first trades. You are now in possession of your first amount of Bitcoin. Go to "Accounts" to see the amounts of all your wallets.